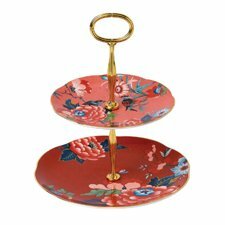 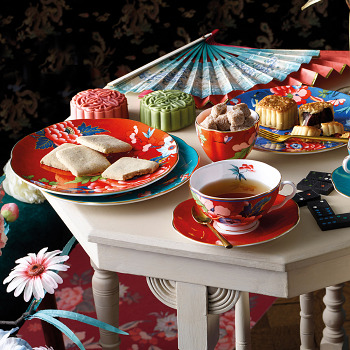 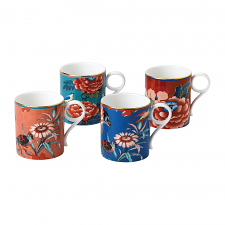 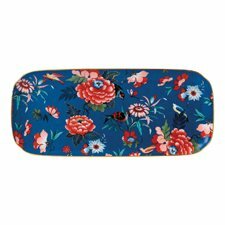 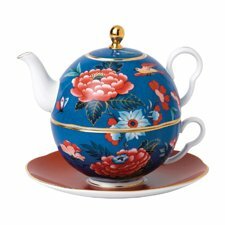 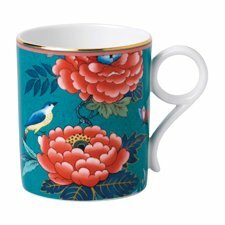 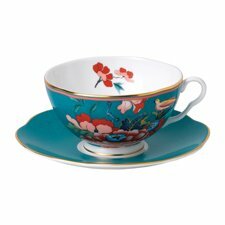 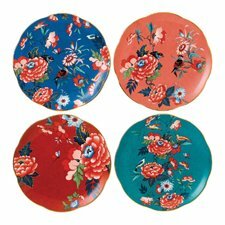 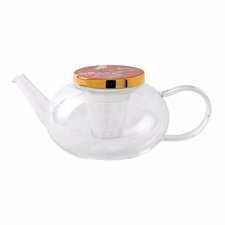 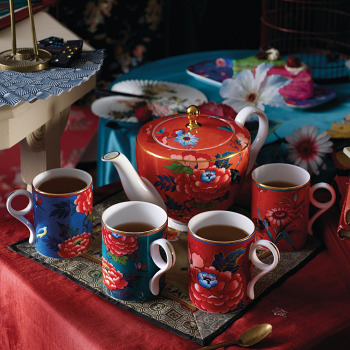 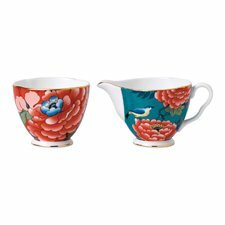 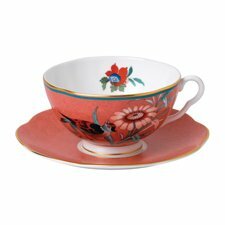 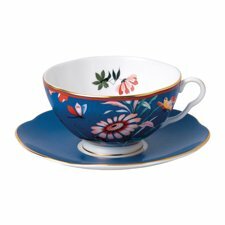 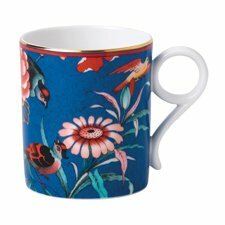 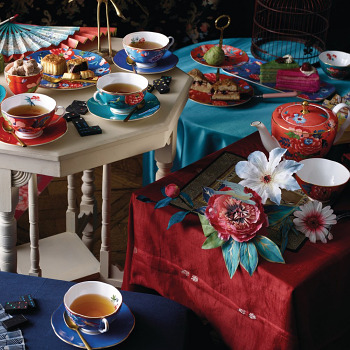 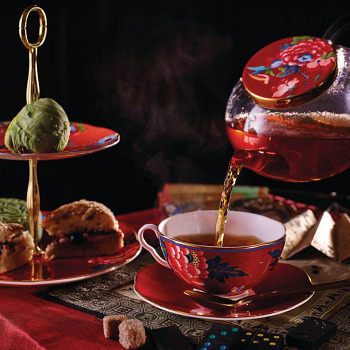 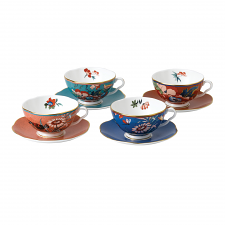 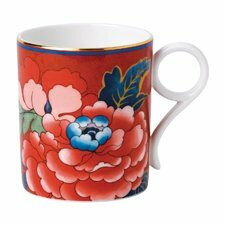 The Paeonia Blush collection is an eclectic mix of gifts and teaware, all forming a celebration of the peony. 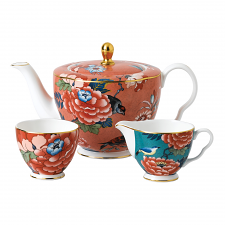 Paeonia is the botannical name for the Peony. 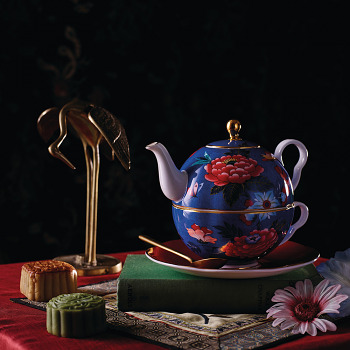 A historic flower dating back thousands of years, the peony is known as the flower of riches and honour. 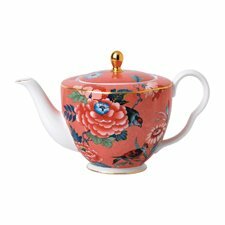 With its lushous and rounded blooms, peonies have come to represent romance and prosperity, and are widely regarded as an omen of good fortune and happy marriage. 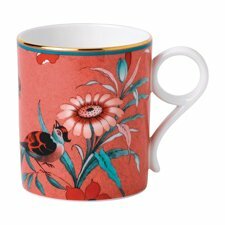 The original artwork for this collection derives from the first series of pattern books, dating back to the 18th Century. 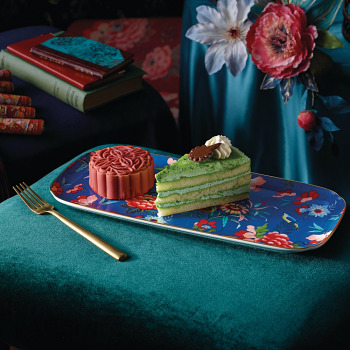 Designed in the Chinoiserie style, popularised in the eighteenth and nineteenth century by an obsession with the Orient, the style imagines the region to be a realm of giant flowers, tiny trees, temples, pagodas, extra-ordinary birds and flocks of outstanding butterflies. 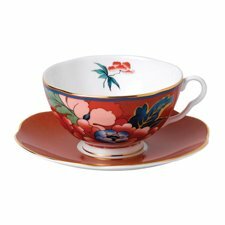 For Europeans of the time, the style juxtaposes the new and exotic, with a rich culture thousands of years in the making. 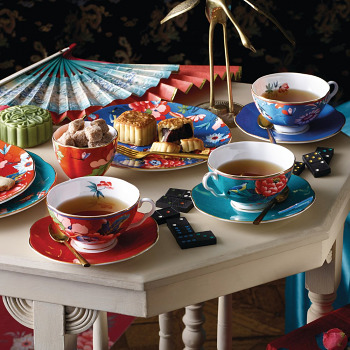 Discover the whole Wedgwood collection for afternoon tea, featuring teacups and saucers, teapots, cake stands and even ice cream bowls.